Do you want your iPhone’s batter to last longer? Of course you do. The single most important thing to do is to set your iPhone to check for new mail only when you open the app and ask for it. Here’s how you do it. 3. 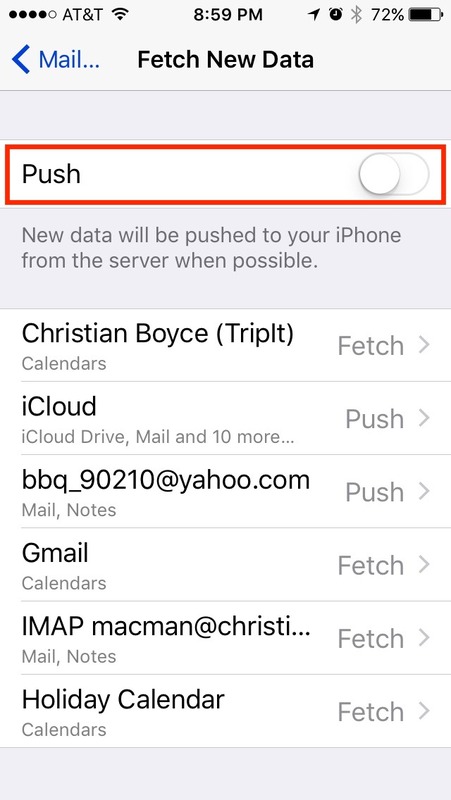 Scroll down to Fetch and set Fetch to Manually. 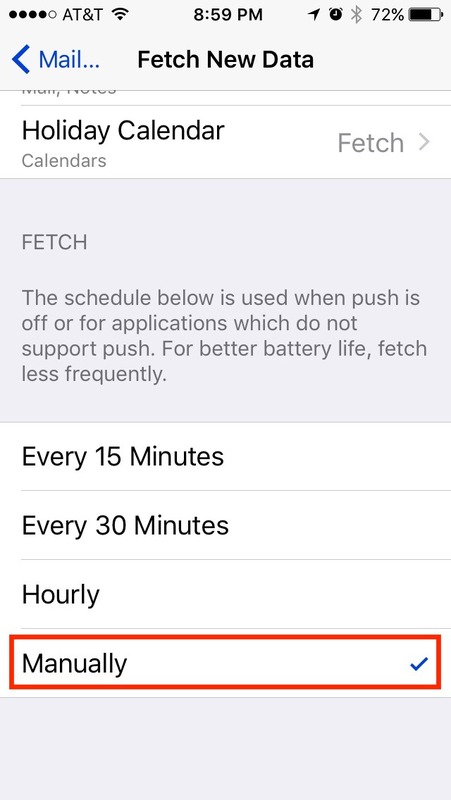 This is going to save your battery. A lot. But, you are not going to know that you have new email until you open the Mail app and check for yourself. This means you will have to pull down and release in Mail to get it to check for new messages.. That’s a tradeoff I’m happy to make. BONUS: you will finally be able to get something done because you won’t be interrupted every couple of minutes with an email notification. Trust me, those emails can wait. Check the mail when you have time to do it rather than letting it barge in around the clock. Yes, I know that’s not the way most people do it. But most people’s iPhone batteries don’t make it through the day. Try it “my way” and see how it goes. You can always switch back.